Angi and her husband Carl raise 6 children and they call their family and website the Schneider Peeps. 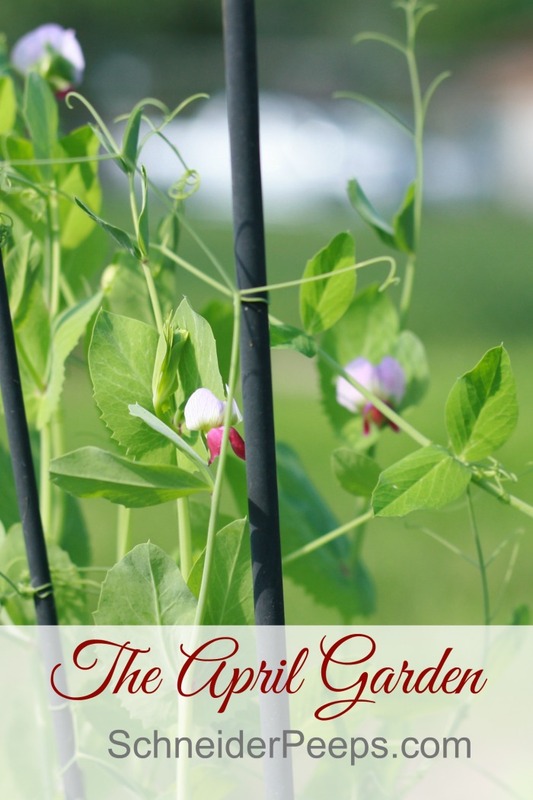 If you check out their website you will find it full of resources for gardening filled with beautiful pictures, DIY and craft projects, raising chickens, bees, homeschooling and living a simple life. I am very pleased to introduce my guest Angi Schneider. My husband and I have 6 children, one who is married and we have a grand-baby who is beautiful. Our other five children range in ages 19-5. We have an acre and ½ that we homestead on. Fondly call ourselves the “Lazy homesteaders, love our garden, chicken and bees. 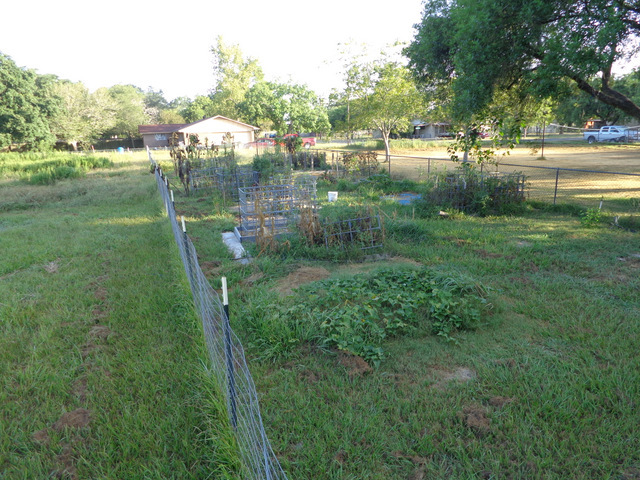 Our garden is about ¼ acre and a growing orchard, putting in a little at a year. It’s amazing how quickly that adds up. Very excited we have peaches for the first time and we have 74 peaches! Live in South Texas, so we can and garden year round. Because of that I don’t do tons of preserving other then tomatoes, jams, and fruit. Don’t have to grow tons of green beans to put up for the winter, because we have a steady growing season. We eat very seasonably because of that. Picked first green beans last week. Padre Island which is a beach about a mile from the gulf of Mexico. Husband grew up in a military family so he lived all over the US. He’s the instigator, an adventurer, and an eagle scout, liked to hike a lot, and we would eat some wild berries. He wanted to grow some tomatoes, and a friend at church shared how to grow tomatoes. When we had kids it became something fun to do. My grandparents garden a lot. I was with my grandmother, Texas is really big, they lived in central Texas so we only saw them once or twice a year. We would go out in the garden and collect eggs from her hens. So Angie, what does organic gardening/earth friendly mean to you? I think for me it means using the least toxic ways of gardening methods. Because we keep bees, we are very careful about any kinds of sprays or chemicals. Which is good for the earth as well. And which is also good for us personally. We try to use very inclusive method, practice crop rotation, integrated growing where we plant, long rows of crops or just one box of things, we’ll plant two or three different things to spread our garden out. If we need to use some kind of pest control, just try some kind of “hand-to-hand combat” to squish bugs. We’re ok with some caterpillar holes in our food. But have used some Dipel Dust or BT as little as possible if have to use some kind of organic pesticide to remove cabbage worms. Would rather share some of our garden with pests and plant extra, and ok with some level of caterpillar holes in our cabbage or leaves. Our fruits or vegetables are rarely perfect and we’re ok with that. Husband and I have always been somewhat interested in whole wellness. So we are very hesitant to bring any kind of toxins in our home. So the idea of spraying food that we are going to eat with any kind of pesticide has not appealed with us. The Dirt Doctor in Fort Worth Texas had a radio show on Saturday mornings who specialized in Texas Growing. Howard Garrett which is where we learned the most in the beginning. Yes from reading his books for pest and disease control his books have been very helpful. His book Texas Bug Book, The Good, The Bad and The Ugly, was very helpful. Gardening philosophy, if you put seeds in the ground and water them, and the sun shines, they’ll grow. Yes, you need to put some organic matter and build your soil. It’s really not that complicated. 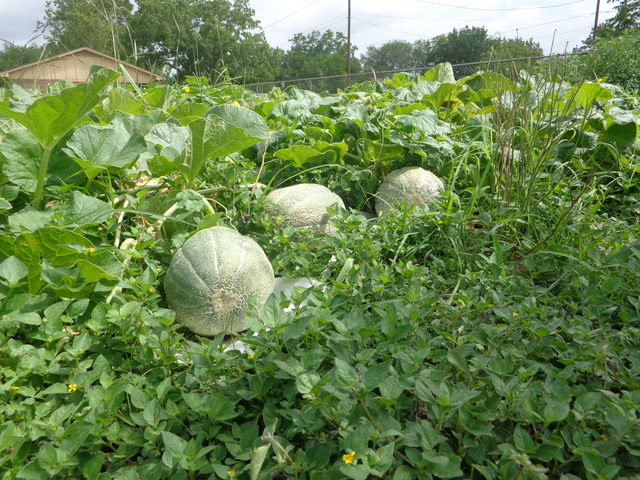 Had a great cantaloupe patch. Last year planted about 50 tomato plants, on a whim I threw out some cantaloupe seeds, probably harvested 40 cantaloupes. Funny cause I planned tomatoes for tomatoes & hot sauce how much we would need. 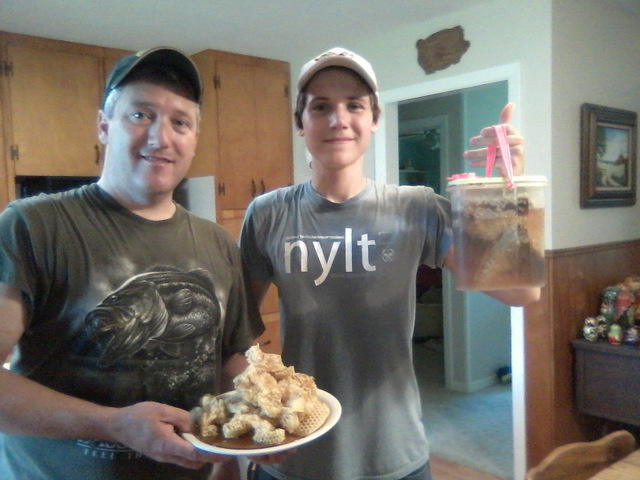 We are trying luffa seeds from Local Harvest. The little scrubby things you buy in the bath department is actually a squash, which need a really warm climate. Grew some a few years ago and got 3 small sponges. Concentrating this year on growing gifts for friends and family. Growing some new herbs. Local people. Get Local. Angi, tell us about something that didn’t work so well last season. Tomatoes, huge issue with vine bores. This is an example of what works one year doesn’t always work the next year. Vine Bore Moth lays her eggs at the base of vines, mainly squash type vines, when the caterpillars emerge from the seed they bore into the plant and they eat it from the inside out. That moth overwinters in the soil so we had to till those beds up and added a lot of compost and planting in different beds this year so we are hoping we don’t have that problem this year. Basil, popping up all over our garden, and buckwheat. Because we have bees I let a lot of stuff go to seed. So we end up having a lot stuff coming up all over. And I let stuff grow where it is, I don’t like to pull things up just because it is growing where I don’t want it. Love homemade pesto so we can go through a lot of basil. Experiment with buckwheat as a green manure so the problem came was that they were so beautiful I couldn’t cut them down. 17-year-old Gabriel is the resident bee keeper. He really wanted bees and he is diligent enough to do the work. Been keeping bees for 3 years now. We have 5 hives in the backyard. He also does live bee removal, and gets called a lot in the spring. Tries to relocate the bees somewhere, has some friends that let him put hives on their property to spread them out. Has to remove all of the comb, or all of the honey, or other bees are going to come out. He processes all of that. 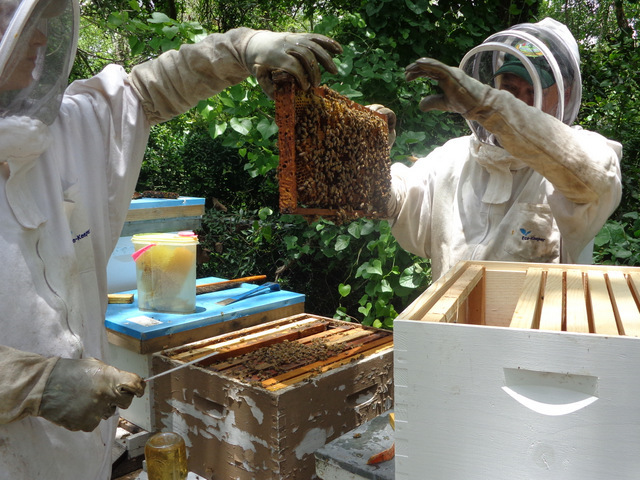 Because of the drought we have gotten very little honey out of our own hives. Lots of people will harvest the honey and leave sugar water for the bees but he leaves the honey for bees, he won’t harvest honey and feed the bees syrup. Hoping with all of the rain that we have received they will thrive this year. Can’t grow things that require a lot of cold, Brussels sprouts, rhubarb, maybe only one or two varieties of cherries or apples that grow in the heat. So Angi, which activity is your least favorite activity to do in the garden. Just to walk the garden and piddling. Picking a few things here or there. Just being out there and observing. Just start small. Better to start small and do something well, then to start big because you have the space and then be completely overwhelmed by it. We have moved a few times, so it seems like as soon as I get into a groove we have to start. Be patient and don’t start too much too soon. Angi, Have you ever entered a fair? How’d that go? Have for sewing but not gardening stuff. In a small community we all had to enter something and it was fun. Probably why we have more things go to seed, you have to make choices, you are either going to pick it and eat it, pick it and preserve it, pick it and bless others with it, or just let it go. If I haven’t made a decision, or made a decision and gone through with it. All fines. Make a lot of spaghetti and hot sauce, lots of basil pesto. Dehydrating kale, and making a kale powder and sprinkling it in everything in rice or eggs and it looks like parsley so my family doesn’t care as much cause it doesn’t taste kale and so we’re getting more nutrients. Excited about finding new ways to use some preserves. Freeze pesto. USDA doesn’t recommend canning garlic so I freeze it, tomatoes have so much acid so in sauce it’s ok. Put right in freezer in canning jars. Angie how about a favorite recipe you like to cook from the garden? Go out to the garden and see what’s available, maybe have some green beans and a carrot or two, or a squash, some green onions, bring it in and saute it in butter and then boil some noodles, and then mix them together and then put that basil pesto on it. Sprinkle it with parmesan cheese. Lots of blogs I really like. Part of homestead bloggers network. They curate lots of different blogs. A favorite reading material-book, mag, blog/website etc you can recommend to listeners. We have several ebooks. 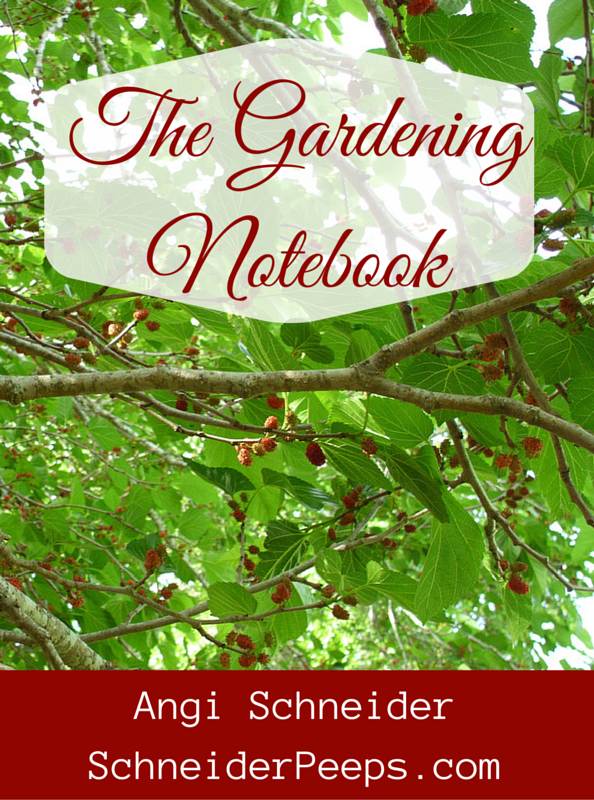 The Gardening Notebook is our most popular one. I wrote it I kept a notebook each year where I would write about each vegetable. Had a journal of everything I had learned about growing a garden, a page on each vegetable, but somehow it ended up in the firebox. Started trying to reproduce what I remembered on my blog. Then I realized I’m more of a pen and paper person and so I started printing those up. And my husband said “There’s a lot of information in there, I’ll bet a lot of people would like that and pay for that.” How to grow them, common pests and probelms, how to harvest and store them, planting dates for different areas, suggested plants for your areas. About 120 pages, you can add your own vegetables or fruits etc, to print it up, graph paper pages for doing gardening layouts, and a plant profile section. First part is full of information and then the end has printable forms for you to create a personal notebook just for you and your family in your climate. Get your copy of the Gardening Notebook today! Angie – Final question- if there was one change you would like to see to create a greener world what would it be? For example is there a charity or organization your passionate about or a project you would like to see put into action. What do you feel is the most crucial issue facing our planet in regards to the earth either in your local area or on a national or global scale? Really just start. Just throw some seeds out water them and see what happens.